The housing market in Iran, and in particular in Tehran, has been the subject to many fluctuations in recent times. Land value is thought to have increased by 81%, property values by 220% and rental values of close to 245%. This has meant that the housing market has remained buoyant despite all the recent economical difficulties. When approached with this project, one of the fundamental questions asked was how one would begin to create housing for the 21st century without losing touch with Iran’s rich architectural heritage. Our approach attempts to use the best of traditional Iranian vernacular, in terms of performance, and connect this with modern design sensibilities and methods available to us. The starting point for this proposal, as with many of our schemes, was the simplest form possible, in this case a linear volume situated on the northern boundary of the site. 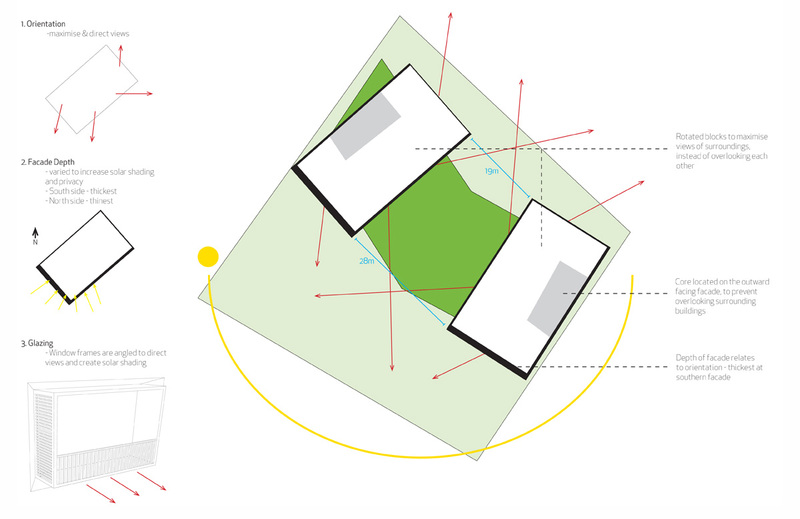 The algorithm and parametric model we used allowed us to very quickly test a number of iteration based on criteria such as solar exposure, privacy and natural ventilation. 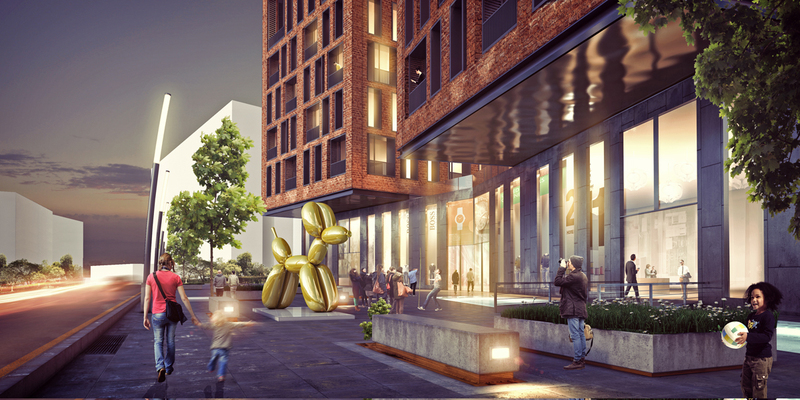 The proposal in its current iteration begins to create public and private amenity spaces, which are almost forgotten within new residential developments in Tehran. The current approach in Tehran seems to be that of maximizing the building footprint on site, without consideration fro the quality of space, something that we enthusiastically argued against. 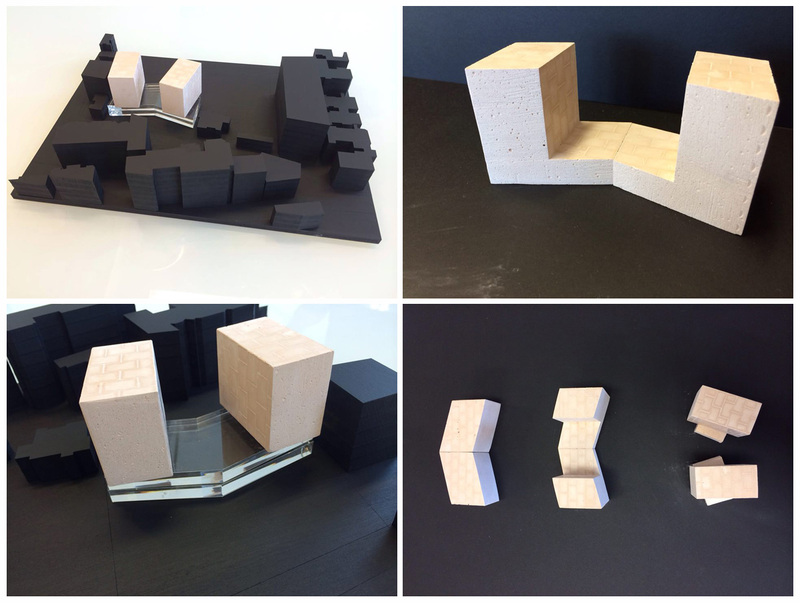 In this case we were able to explain to the client, through a series of physical models and diagrams, the evolution of the form and the benefits associated with the inclusion of open public and shared space. 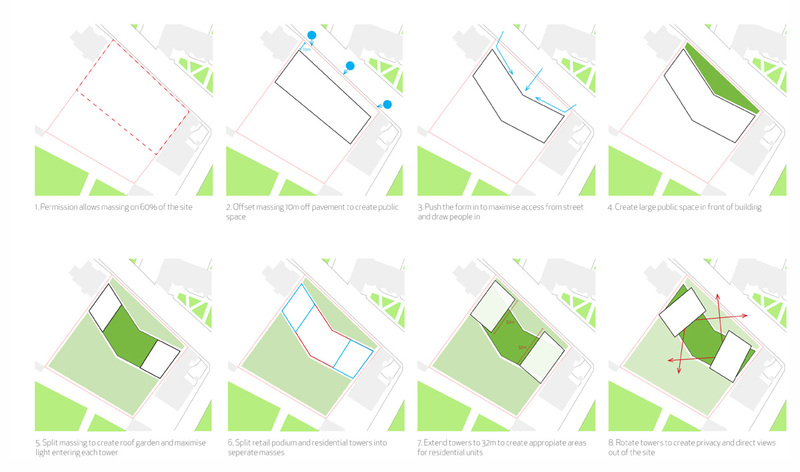 The proposal creates public space to the Northern boundary, while maintaining streetscape and urban views. The residential blocks, which cantilever above the retail podium, are derived from splitting the initial linear block into two, and rotating these out to create to separate blocks. This operation allows us to explore and optimize the orientation of each building, to meet privacy and performative needs. This reduces solar gains on the external skin of the building as well as creating duel aspect flats, which will aid natural ventilation. A further level of control was added through the variation of the window bay depths. This allows us to maximize sunlight where possible and reduce solar gains, to create an overall reduction in the use of electro-mechanical devices throughout the building. 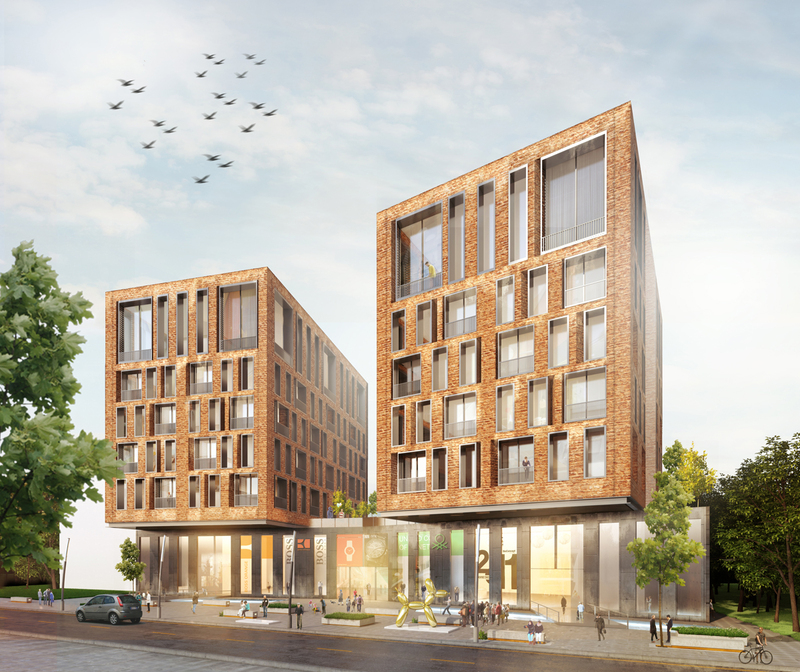 The projects attempts to connect a history of performance in Iran with modern strategies of design and in doing so create higher design standards within the housing market. Sustainable design. Algorithmic design, computer algorithms, Generative design, parametric design, Digital optimization, Contextual design, Public Amenity, Private amenity, Performance orientated design, Natural ventilation.